Here’s your chance to sing with your favorite musicians! SingStar is an innovative, sophisticated and captivating social experience that can turn anyone into an instant singing sensation! Two custom, high quality microphones are included, allowing would-be musicians to really get into their performances. With microphones in hand, players perform along with chart-topping artists as song lyrics and the original music video play on-screen. 30 hit songs from a broad range of music genres are included, ensuring there is something for all tastes. 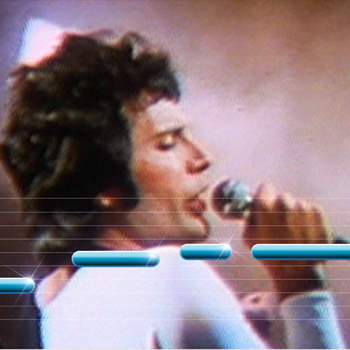 And with a variety of gameplay modes, including Solo, Pass-the-Mic, Battle , and Duet, SingStar can turn a normal get-together into a rocking party! So crank up the volume, break out the stage lights, get ready to turn friends into raving fans and prove you are a rock star with SingStar!